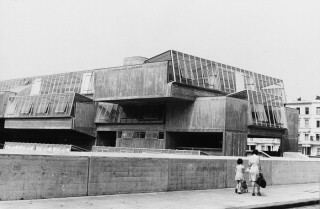 The wonderful Pimlico School, the Brutalist building by John Bancroft and the GLC architects, is finally to be demolished. Amazingly, the iconic and seminal building was given a certificate of immunity from being listed by the goverment a few years ago. It has numerous structural and environmental problems but it really is a superb piece of architecture and I only wish something could be done to save it and renovate it for another lifetime. The campus it creates, the sense of enclosure of the sunken playgrounds yet connection with the streetscape is fantastic. Go visit it now before it disappears. 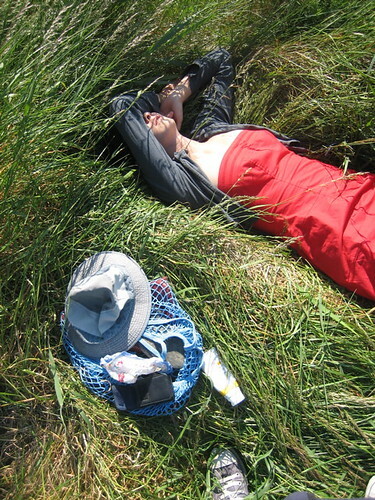 Finally the relaxation begins...a beautiful summer day lying in the long reeds. Why anyone leaves England in the summer I don't know. My most local and least used tube station, the lovely little Shoreditch, shuts forever tonight. I won't try to pen my own paen to its loveliness, but highly recommend that you read Diamond Geezer's fantastic tribute here. I will miss the few times I would need to use the East London line - a tiny moment of weird tube peacefulness found nowhere else on the network. But it is all over - the anti-climax of my final viva presentation yesterday after too little sleep in a near-deserted department followed by ritual beer. Now, thank the heavens above, I am no longer a student - a position which I have always been terribly unsuited too. I can return to an un-schizophrenic life of 'real' work and rediscover things called Weekends, Evenings and Fun. And I never have to be a student again. Hooray! For those of you who may be vaguely interested, my thesis project was about rural England (never picking a big subject, me) and railway stations and sustainable zero-carbon development and houses for the people. Community Land trusts farming biomass as the new medieval manors with the same relationship between population size and productivity of land, all with great access to public transport. Thereby reviving agriculture, solving the housing crisis and making a happy shiny green countryside...or something...Interesting lots of research however into land use in the countryside, energy production systems, and low-impact infrastructure design. When I've recovered from the stress, I will try to make a short pamphlet summarising it all and post it up. Right now, however, I'm going to make another cup of tea, enjoy the sunshine...and then take the recycling out.